I really have no idea what got me so excited about buying socks that I felt the need to dedicate a blog post to them. I guess partly the fact they are Christmas themed, and what's better than Christmas socks? Nothing! I have such a crazy obsession with socks when it comes to Autumn/ winter. I'm always so excited when I get to put away the sandals, and get out my winter boots. I'm going to guess it probably has something to do with the fact I can wear Christmas clothes in October and totally get away with it. Am I totally alone on this? As I walked through Primark yesterday, I found myself heading straight to these. They're called cosy slipper boots. They have little grips on the bottom, so they will be perfect for walking around the house. Inside they have a really soft, fluffy lining, I just can't wait to wear them! How cute is the design? 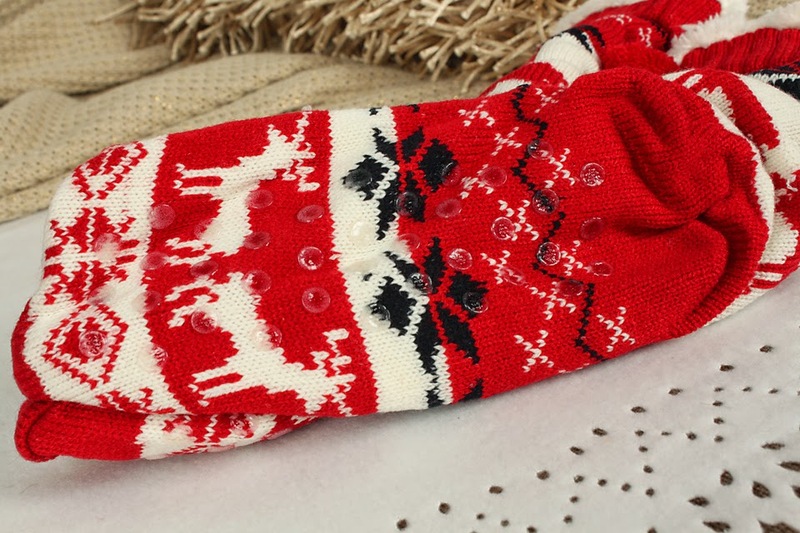 I just love little reindeers and pom poms, so festive. These alone are enough to get me in the Christmas spirit. They were £4 so it was hard to stop myself from picking it up in the other designs too, but I tried to show some restraint. This is where I failed. I thought I was going to get away safe, and not turn up at the check out till with a million pairs of socks. However, as I headed to pay, I found myself queuing in line surrounded by socks. I had a weak spot, and found myself carrying just about as many socks as I could hold. 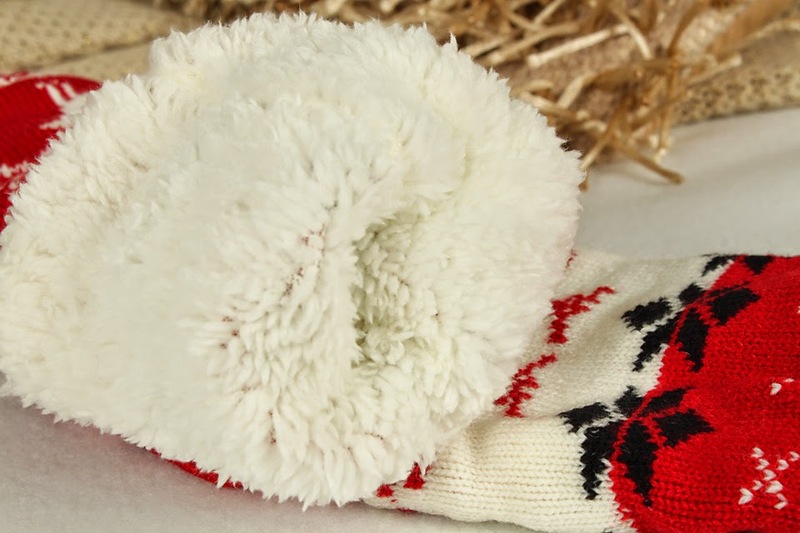 This pair of two cosy socks will no doubt have a lot of use this winter. I already own a ton of these in different designs and they are totally my guilty pleasure. They're fluffy socks that aren't too thick, so can be worn under chelsea boots, or any other kind of winter boots. At only £1 a pair, they had to come home with me. The next stage of my shop is where I found my eyes light up. Christmas socks! They were at the checkout till, and I couldn't help myself. They sneaked onto the counter as I was checking out! Even the boxes that they're in will come in useful. I'm sure I can think up a craft to get some use out of them! I tried to kid myself, telling myself that it was ok, I would give them away as gifts by Christmas. Knowing full well that these would be on my feet within a day. Although I really didn't need any new socks, these purchases were so inexpensive that it's totally ok. 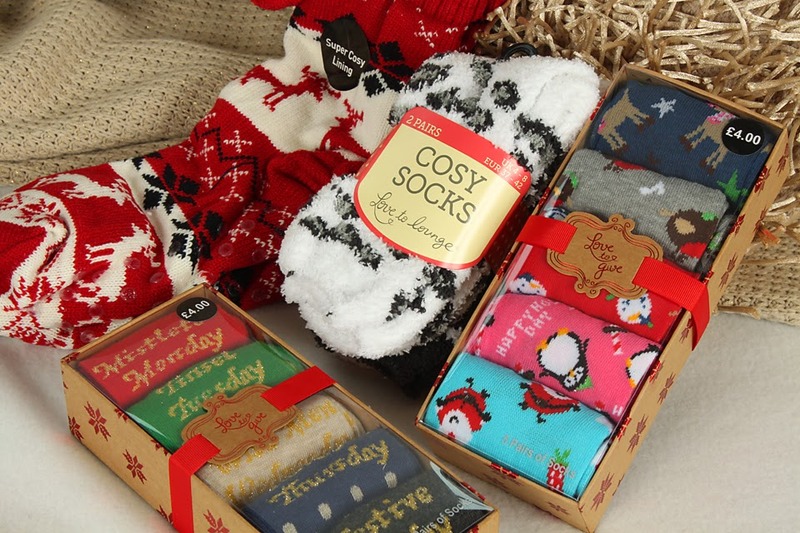 The boxes were £4 for 5 socks, a great deal! I love the designs. one pack is perfect for December and Vlogmas. (Not that showing you my socks daily is going to be exciting for anyone apart from me), but it has the following days written on them: Mistletoe Monday, Tinsel Tuesday, Wise Men Wednesday, Turkey Thursday and Festive Friday. The second pack has little festive characters on them. I have Santa, Penguin, Snowmen, Turkeys and reindeer. So cute! I hope you don't think I'm (too) crazy after reading about my sock obsession. I'm now going to get into my slipper boots, make a mug of hot chocolate and snuggle up watching a movie. Oh I love love love fluffy socks! I have a whole draw dedicated to them, and I'm sure I'll get plenty of them for christmas this year too! I need a new draw now as I'm running out of room :) I'm glad i'm not the only one who loves fluffy socks. Just left a comment on your blog. Love the plaid dress! 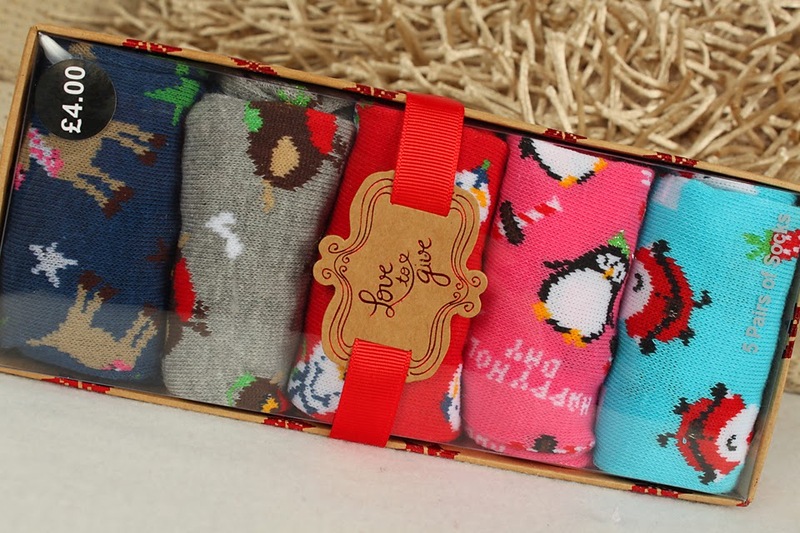 These socks are SO adorable :D want them! I like the thick socks!